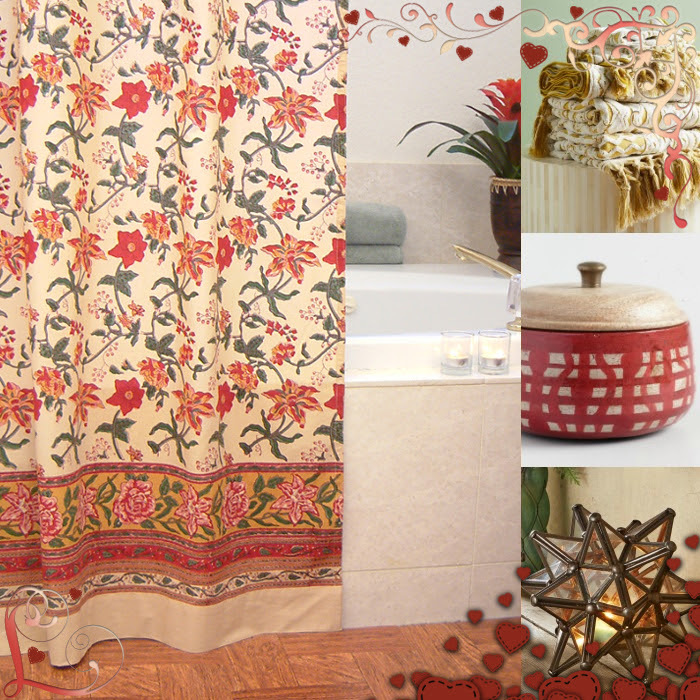 Blog » Shopping Guides » Valentines Day » Create a Warm, Lush and Lovely Bath with Tropical Garden! 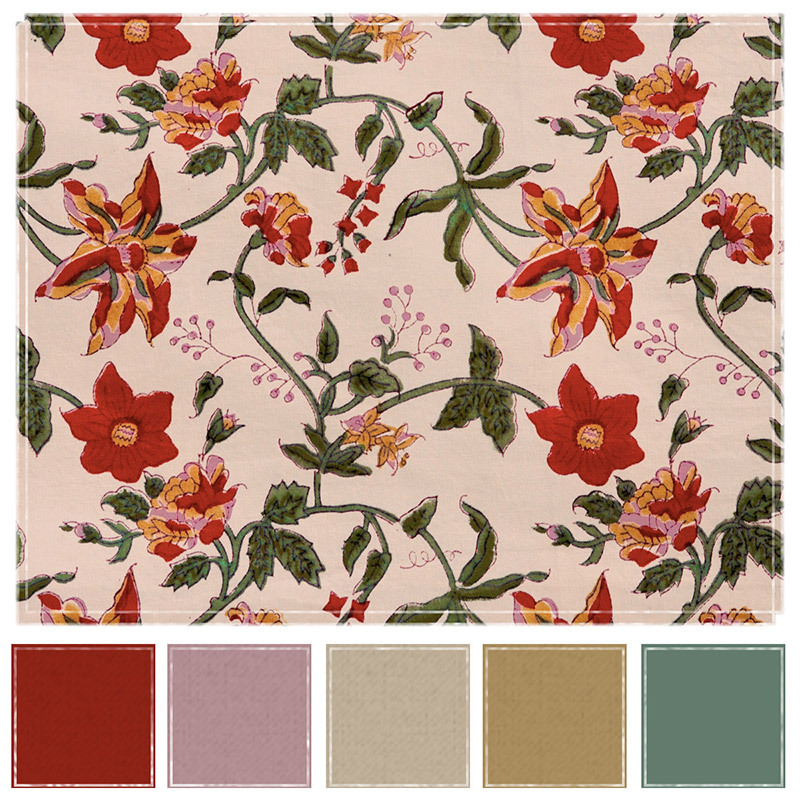 Think about it… lush floral fabric, shimmering with bold color and tropical heat. A print like Tropical Garden will absolutely transform even the most boring bath into an inviting, exotic oasis. Just in time for Valentine’s Day, you can get your design groove back with the simple act of hanging this stunner of a shower curtain! 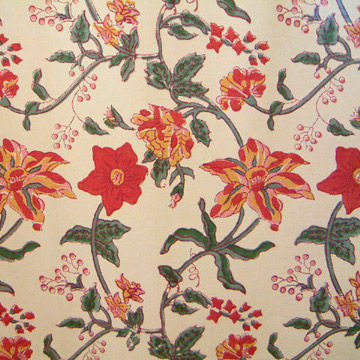 Inspired by lush, warm florals, the bold pattern and opulent color of this print are sure to be the center of attention in your bath. Accessorize with natural wood, copper or brass and hand thrown pottery. 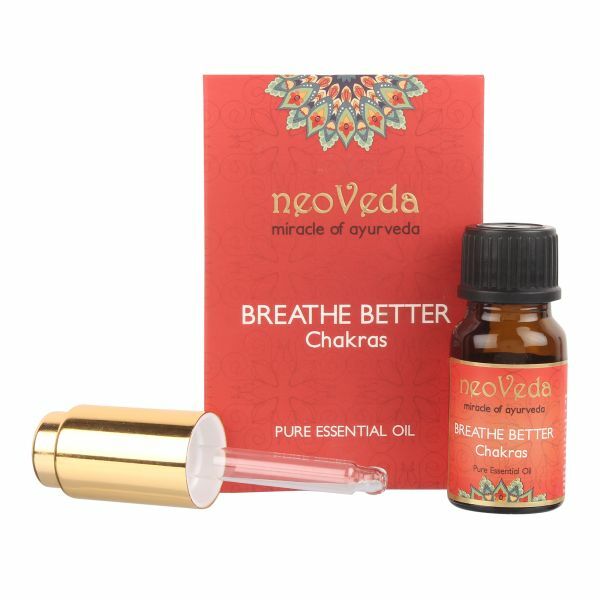 Inspired by Ayurveda, the Neoveda line at Craft House India uses only essential oils and the purest ingredients. Store a bottle of this in your bath to start your day with the most serene sensibility. From Craft House India, this luxurious lotion of honey, almond, and aloe vera are soothing, moisturizing and leave a lasting glow. Wow. Sounds awesome! 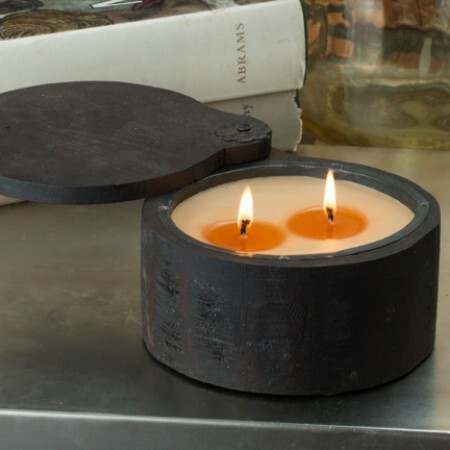 I am a huge fan of Himalayan Trading post candles, both for fragrance and design. The natural wood pot gives the candle depth and allows the color to connect to a variety of rich tones. Beautiful in a Tropical Garden bath! 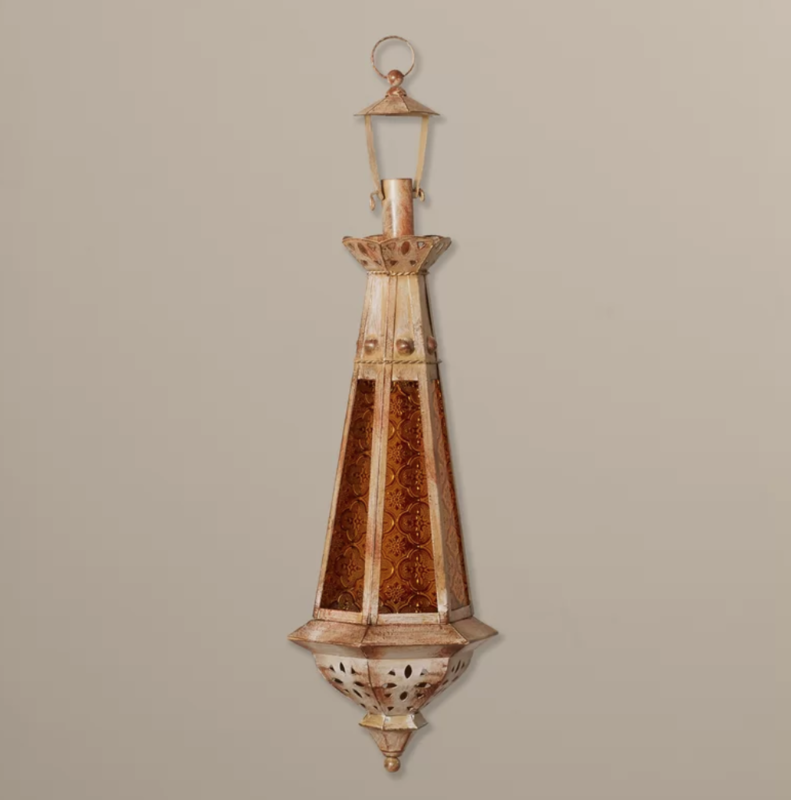 This warm, exotic lantern hits all the right notes with beautifully crafted glass and metal. Hang this to tie into the bold pattern of your shower curtain with lovely subtlety. 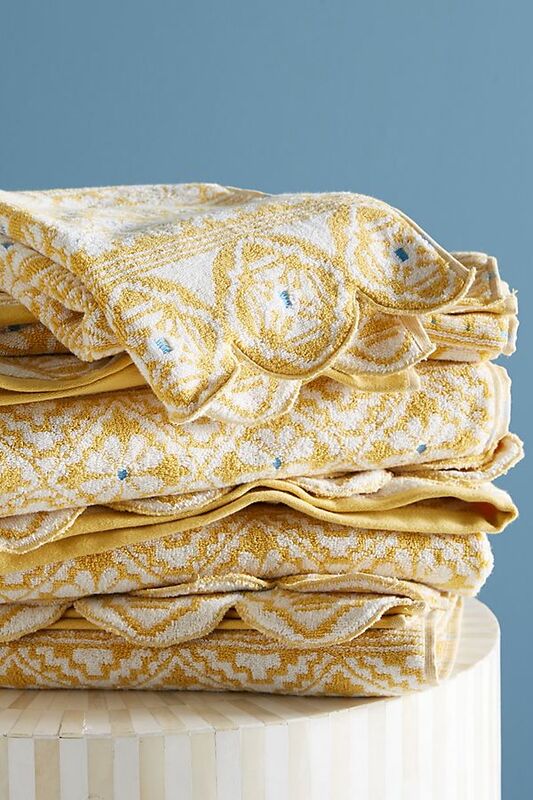 Add texture, golds and more hints of the exotic with Anthropologie’s lovely Simone towels. If you want to keep the color focused on your shower curtain, consider soft, creamy bath towels in a solid tone from Kassatex (at Anthropologie). 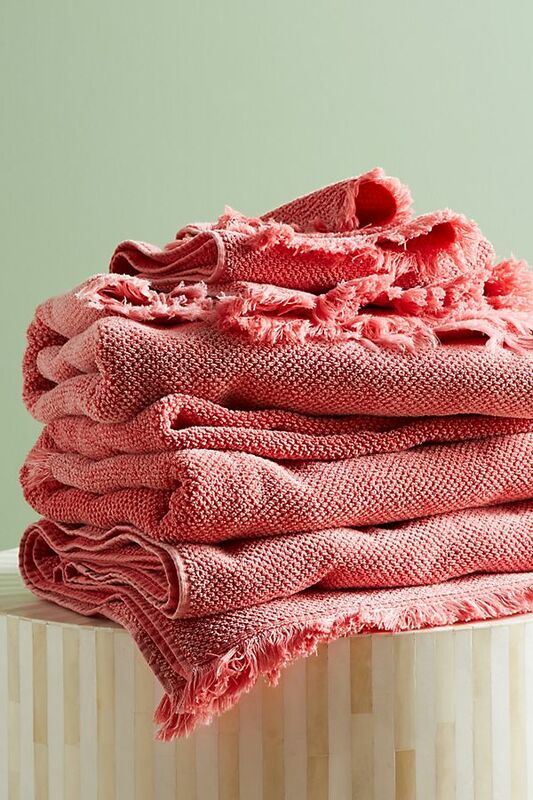 These classic bath towels are great foundation pieces for all kinds of bath decor. Now that you’ve seen Tropical Garden in a bath, you may be interested in how this print works around the rest of the house. 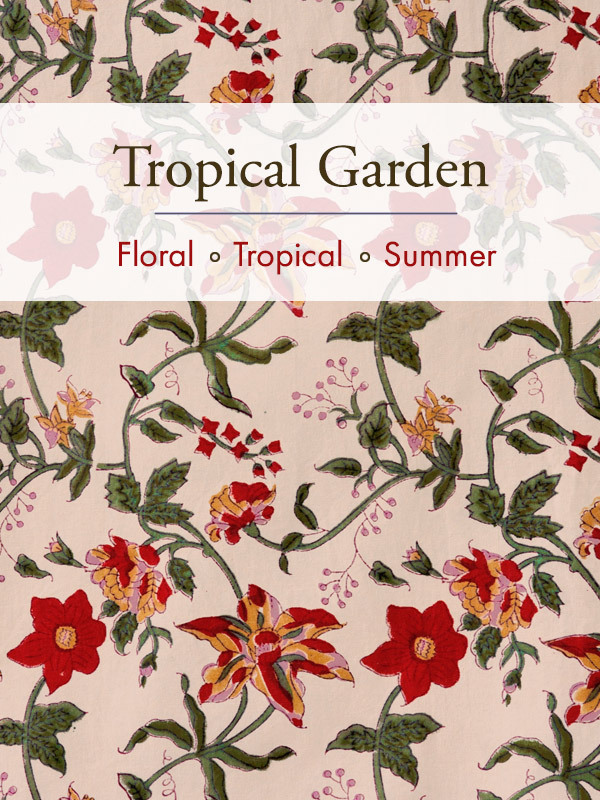 See everything Tropical Garden in our collection! Craving a Little Paradise? Enter the Tropical Garden! Create a Rosy, Romantic Bath Just in Time for Valentine’s Day! ← Re-Do Your Bath with a Bit of Mosaique Magic!